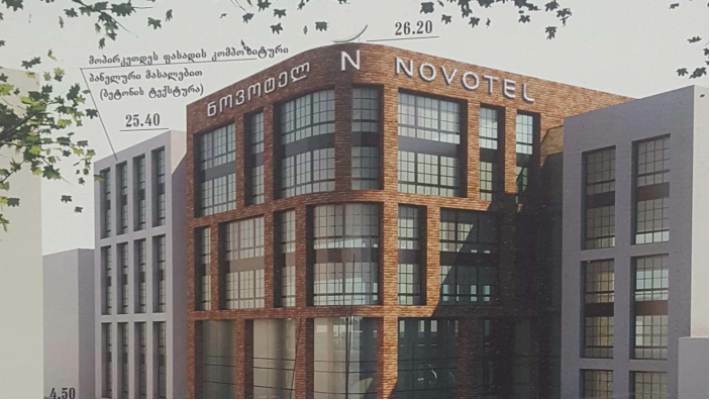 A four-star Novotel hotel will be opened in Virsaladze Street in Old Tbilisi in 2020. "Commersant" was exclusively told at Maqro Construction company involved in the project. The 6-storey hotel will have 150 rooms. 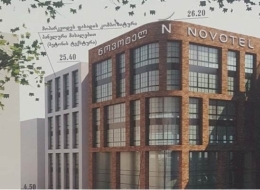 The company says it has already received construction permit from Tbilisi City Hall and construction works are planned to start in the nearest future.The company is set to invest $ 30 million in the project. "This is the third project carried out jointly with Accor Group. Earlier two hotels - IBIS and Mercure - were opened in Tbilisi, " say in the company. International Holding Maqro Consortium is one of the largest investors in Georgia. It incorporates subsidiaries, various companies and projects. The first and best known project is the Glorya Furniture brand, which is the only furniture manufacturer in the Adjara region, in Batumi. The largest project of Maqro Construction is the residential complex Green Budapest. Another project is the new complex Green Diamond located in Dighomi settlement. Maqro Construction started to invest in 2013. French Accor Group, the world's most famous hotel and restaurant operator which unites such brands as Sofitel, Novotel, Grand Mercure and IBIS. Accor Group already owns several hotels in Georgia, including a 4-star hotel Mercure Tbilisi, which was opened in 2015.